150QJ submersible water pumps for deep well, It is used to draw ground water from a deep well, or from river, reservoir and aqueduct etc. mainly foragricultural irrigation, water for human being and livestock in plateau areas,water discharge in cities, factories, mines and construction sites. a. 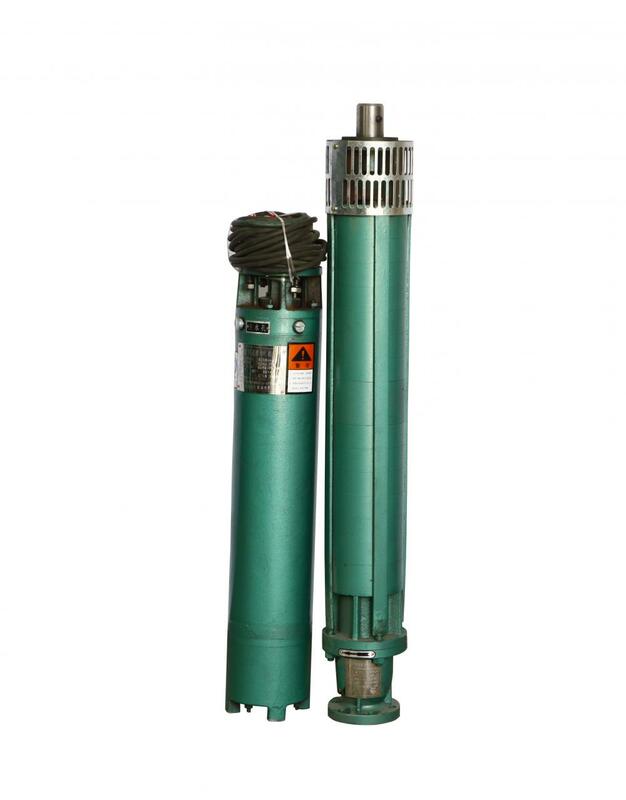 High head submersible water pump is applicable for transporting solid granular and fiber sewage. b. Applicable for industry water treatment. c. Applicable for fire control. d. Applicable for paper making. e. Applicable for urban environment. f. Applicable for power station. h. Applicable for chemical industry. ○ 150QJ submersible pump model voltage 380V deviation of not more than ± 5%, frequency 50HZ, deviation of not more than ± 1% of the three-phase power supply. ○ The motor cavity must be filled with water. ○ The first stage impeller of the pump should be immersed in the moving water level below 2m, the pump unit immersed in the static water level below not more than 70m, the bottom of the motor from the bottom of the hole shall not be less than 3m. ○ water temperature is not higher than 20 ℃, QJR hot water submersible pump temperature up to 100 ℃. ○ The amount of water in the sand (by mass) is not more than 0.01%. ○ pH of water PH value of 6.5-8.5. ○ The content of hydrogen sulfide in water is not more than 1.5mg / L.
○ The content of chloride ions in water is not more than 400 mg / L.
○ Water supply should ensure the continuous operation of the pump needs. The capacity,head,and the diameter of full set should be shosen according to the water surging capacity,the depth and the diameter of well.The water surging capacity of well should meet the requirement of the capacity of submersible motor pump,so that the submersible motor pump can be under the water totally when it works. Looking for ideal 150QJ Submersible Water Pumps Manufacturer & supplier ? We have a wide selection at great prices to help you get creative. All the 150QJ Well Water Pumps are quality guaranteed. We are China Origin Factory of Water Pumps for Deep Well. If you have any question, please feel free to contact us.